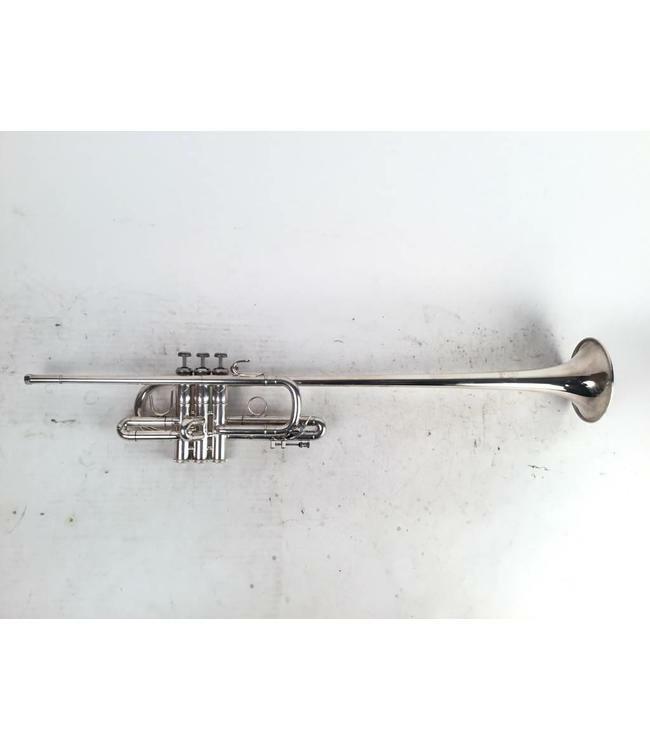 Used Bach Stradivarius medium large bore Bb Herald trumpet in silver plate. This trumpet is in excellent condition with little to no wear. No case.